That famous quote flashed across the screen during bestselling author and game designer Jane McGonigal’s Wednesday keynote (How to Think Like A Futurist) at the South by Southwest Education Conference & Festival. The future might not be divvied up equally in the larger world — not everyone gets to live in Tomorrowland — but those fortunate enough to be at SXSWedu are steeped in it. Catching the next education innovation wave before it crests is the reason people are here. 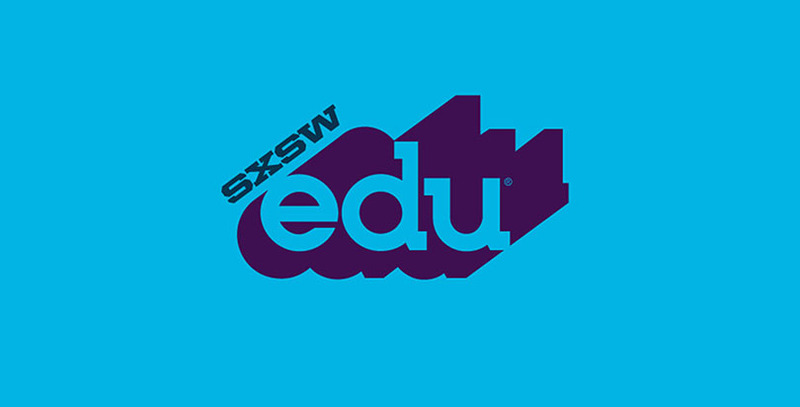 So in the spirit of embracing what has yet-to-be but is closer than you think, here are three SXSWedu takeaways on what the future might hold for learning, standards, and school integration. What if learning was a currency that could be traded, where everyone could be a teacher and learners could be paid for mastering new skills? What if learning became a pursuit that was not confined to childhood, adolescence, and young adulthood but flowed through your personal and professional life as you moved through the decades. Learning is Earning envisions by the year 2026 what it calls The Ledger, a record of everything a person has ever learned and every person they have learned it from that is tracked in certified units called Edublocks. Some 1 billion people are part of the Ledger system, which is built on blockchain, the same technology that powers and creates a permanent record of bitcoin trading. Employers can use your Edublock history to offer you a job, you can see how your Edublocks have fueled your (and other people’s) compensation and pick a topic or course with the most profitable return. The learning is ongoing, communal, and personalized and it could be from digital resources, shared networks, or peer experiences. That’s just a sliver of how the new learning economy would work, according to the forces behind it, The ACT Foundation and the Institute for the Future, where McGonigal is director of Game Research & Development. The two non-profits teamed up to create a game played over 36 hours during SXSWedu. The online contest challenged players to envision how they would learn and master skills in a future unbound from the traditional institutions. The most promising results will be used to build prototypes for Learning is Earning by The ACT Foundation. Its executive director, Parminder Jassal, said Tuesday that empowering working learners from all walks of life to set their own course — and better their income while doing it — is key to closing the opportunity gap and breaking the poverty cycle. The Common Core is the Susquehanna Hat Company of education, the mere mention of it can make some people crazy. In a lively debate entitled “Common Core: Defend, Bury or Transform”, Michael Petrilli, president of the Thomas B. Fordham Institute (Team Common Core) and John Katzman, CEO of Noodle Education, (Team Not-So-Much) argued what’s next. Petrilli said the more rigorous standards are worth defending because they have brought real achievement gains to students. They have also withstood political assault from the left and the right and the dark days of 2013-14 when “it looked like every red state would drop it.” Reports of its death have been greatly exaggerated, he said. “The idea that it’s a sinking ship or that the attacks are picking up steam, it’s just not true,” he said. Katzman begged to differ, saying you would be hard-pressed to find something more widely disliked and after $8 billion invested, Common Core is Code Blue. The problem is not just one of implementation (a prevailing narrative to explain its failings) but of theory. It was a misguided notion, he said, that every student should learn “the same thing at the same time” and that the standards underpinning that belief should be decided by a small group of people. America is too big and too varied for that. A complication: Both men, who managed the delicate feat of disagreeing without being divisive, concurred on two crucial points. They agreed standards are needed and tying teacher performance to the testing of those standards was a bad idea. Katzman advocated for killing the tests while Petrilli said the post-Common Core world should focus on getting the most innovative, effective practices into the hands of teachers. Conflicted emotion about the Common Core extended to the audience. When moderator and The Hechinger Report West Coast editor Lillian Mongeau polled the ballroom, no one had changed their view on the Common Core as a result of the debate but few wanted to bury or defend it. When asked who wanted the standards transformed, hands rose. For the first time, more than half of American public school students are low income and their schools are more racially segregated today than at any time since 1972. Plenty of research points to concentrated poverty in schools being bad for kids and racial and socioeconomic integration being good but “unfortunately, there is a political consensus that there is nothing we can do about it,” said Richard Kahlenberg, senior fellow at the Century Foundation. Or can we? That was the subject of Wednesday’s panel The Future of Socioeconomic School Integration. Panelist Nikole Hannah-Jones, a New York Times investigative reporter who produced the award-winning “This American Life” series on enduring school segregation, remains deeply skeptical. “I will play my usual role as the downer of every panel I am ever on,” she said. The reason, she said, is that research doesn’t bear out that Millennials have embraced integration more than their parents. When choosing schools, she said, white parents say that test scores matter most but they are more likely to pick a school based on racial makeup than scores. “We have to get past that (majority black schools are bad schools), to somehow figure that out and realize that these are our citizens, our fellow Americans, and your kid is not better than anyone else’s kid,” she said. Kahlenberg also took heart in the appointment of Acting U.S. Education Secretary John King, who has put school integration front and center. There’s the department’s new $120 million “Stronger Together” competitive grant program for districts or groups of districts that are adopting controlled choice (where parents rank their preferred schools), creating magnet schools that draw students across neighborhood lines with specialized curriculum and allowing students to transfer between more affluent and less affluent districts. There was discussion of Montgomery County in Maryland, where families are assigned to public housing and then given the choice of attending a high-poverty school that spends $2,000 a year more per pupil on extended day, smaller class sizes, and greater teacher development or to go to a middle-class school. More families pick the middle-class school over the additional resources, Kahlenberg said, because they realize the enormous advantages of being in that more monied environment — from parents with time to volunteer to more challenging curriculum to better qualified teachers. “There is nothing about the pigment of white kids that benefits African-American students,” said Kahlenberg. Hannah-Jones said socioeconomic integration is a proxy for racial integration — which recent court rulings have made trickier to pursue — but it’s not the same because blacks and whites experience poverty differently in America. Poor white kids, with the exception of some parts of the South and Appalachia, already have a better chance of attending a middle class school than poor blacks, she said. Confronting and discussing racial — not just economic — disparity remains important. Despite her admitted pessimism, Hannah-Jones does see glimmers of light. For years, she said, white Americans responded in surveys that they didn’t consider race a major issue that needed to be addressed. That changed last year. 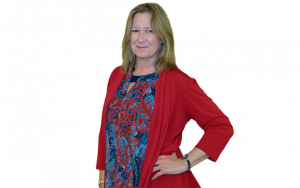 Kathy Moore is an executive editor with The 74.